Games at HP in May! The season’s over but there are still some games being played at Heritage Park during May starting this afternoon (3rd May) when St John’s RC Academy Bishop Auckland meet Sedgefield Comprehensive in the Bishops Schools Under 14 Cup. Kick Off is at 4:00pm. On Friday 5th May Bishop Auckland St Mary’s Juniors hold their ‘Fred Anderson Memorial Game’ when kick off is at 7:00pm. Fred, who died of cancer aged 60 years old was instrumental in building St Mary’s Juniors from 2 teams to its current 20 teams! 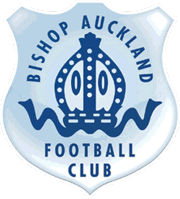 On Sunday 7th May, Bishop Auckland Ladies play at HP and kick off is at 6:00pm. Bishop Auckland Girls will be mascots / ball girls. Why not come along and see how good our ladies are and enjoy a drink in our bar! On Wednesday 10th May Bishop Auckland Schools are holding a ‘Year 11’ game at 4:00pm and later, at 7:00pm, Bishop Auckland St Mary’s Juniors are holding their ‘Christine Howard’ Memorial Match. And on Sunday 21st May we have the Jackie Foster Memorial Game and kick off is at 1:00pm. A large crowd is expected at this game to remember Witton Park’s (and our former player) Jackie Foster. 2 Responses to Games at HP in May! Thanks Jackie – article now amended! !